Time for writing music is back, stay tuned!! 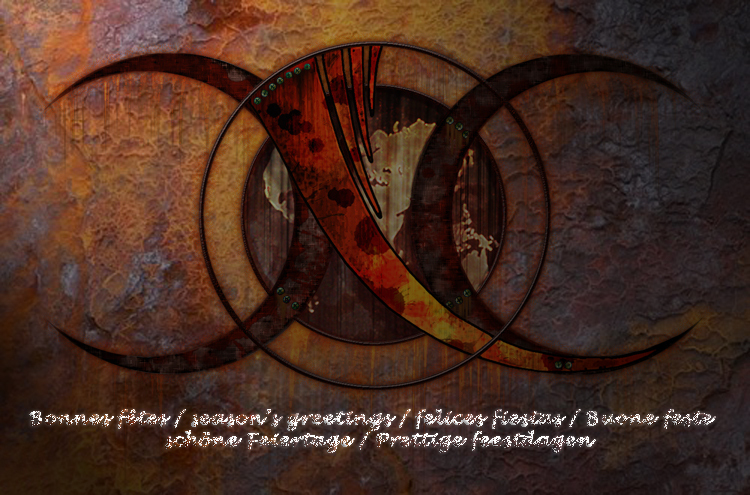 including a brand new 14 minutes epic track, “Le pire est avenir”. The album will be out November 12nd on CD Digipak with a 16 pages booklet, and in December in 2LP gatefold. 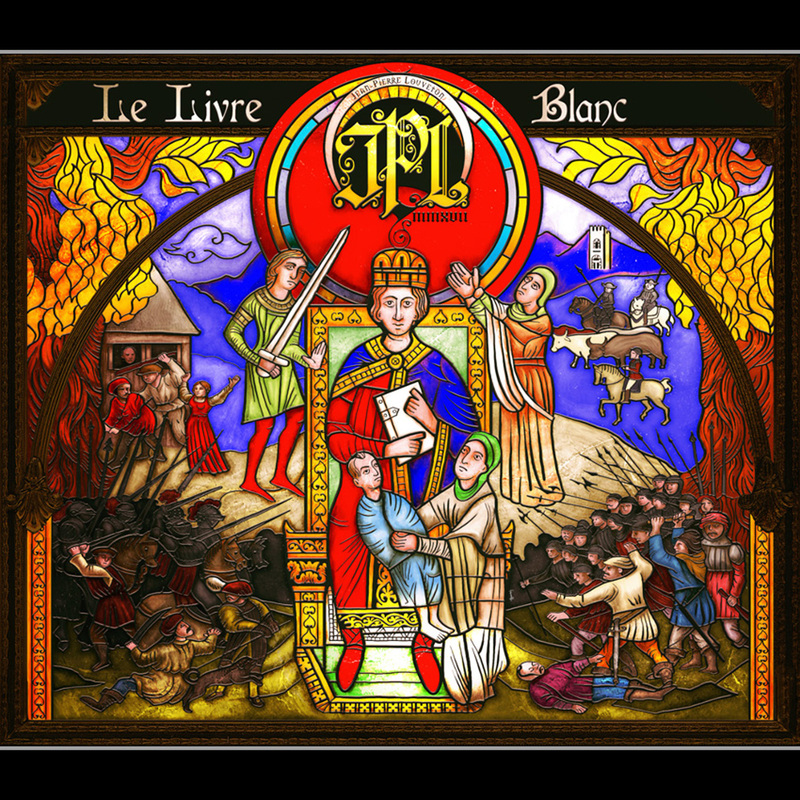 The new JPL (Jean Pierre Louveton) album is available! 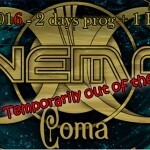 Nemo will 1 concert in 2016! on Sept 3rd, Veruno, Italy! Don’t miss it! The ninth (and maybe last) NEMO album is now out! Thanks to everyone who have preordered it, you are many: 250 via quadrifonic.com, more than 350 with our partners Progressive Promotion Records, Justforkicks Music et Bandcamp!! It’s an absolute record, and that makes us wish that COMA will become our most popular album! More infos about the new album! Digital version available on Itunes and every other download shops on September 4. Here we go for NEMO ninth album presales! The first 200 will have their name in the booklet (2CD Digipak with 5 bonus tracks) and will receive a signed copy! 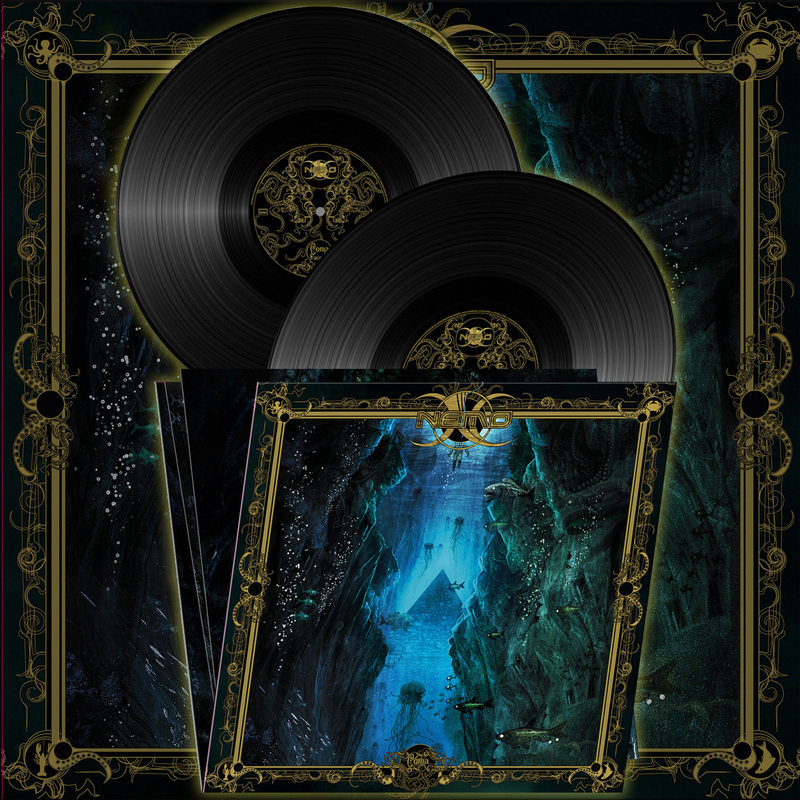 We now think about a 2 vinyls version, and it will be the subject of a separated preorder campaign. We’ll let you know! Please tell us if you would be interested! 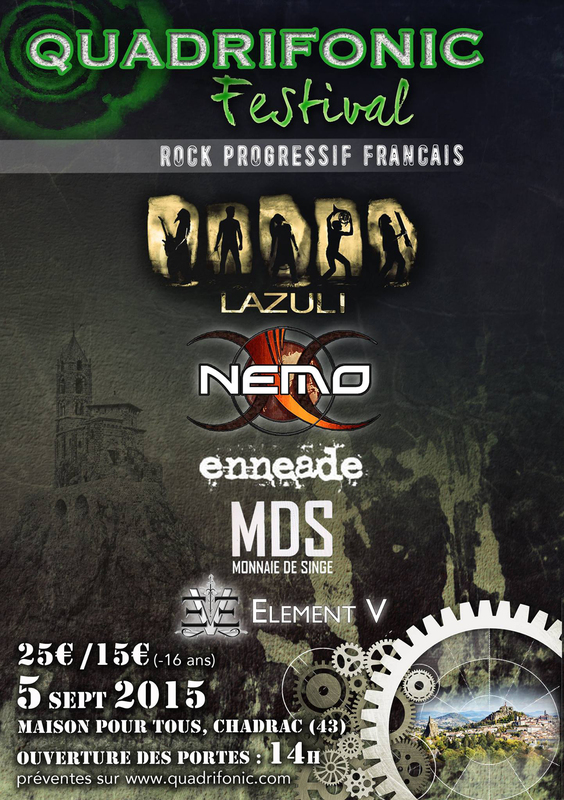 NEMO in concert on 09/05/2015 at QUADRIFONIC FESTIVAL with Lazuli, Enneade, Monnaie de Singe and Element V. Book your tickets! One album, one concert, and then we go? Yes it’s true! 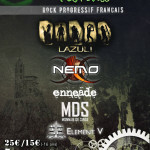 We have decided to create the first festival exclusively dedicated to French Progressive Rock here, in the middle of France. Yes that’s a crazy challenge, especially because we won’t do half job, see the poster below, that I invite you to share the most possible! We hope that this first edition will be a success, and by the way we invite you to book your tickets (and the local hot meal!) asap, for us to know before end of June if it’s a workable challenge. That’s an exceptional occasion to see all of these rare bands together! We deliberately offer an affordable price (5 bands for 25 euros!!) to offer a sold-out venue to the bands and very good music to the largest number of people. And if the success is here, there will be more editions! Good or bad news first? It had to happen. Why ? Because nothing lasts forever, because every good thing has an end, because to be deeply involved in music nowadays is getting harder ? Maybe all of this to tell the truth. In brief, it had to happen. But what ? Let’s start with the bad news, it’s better. 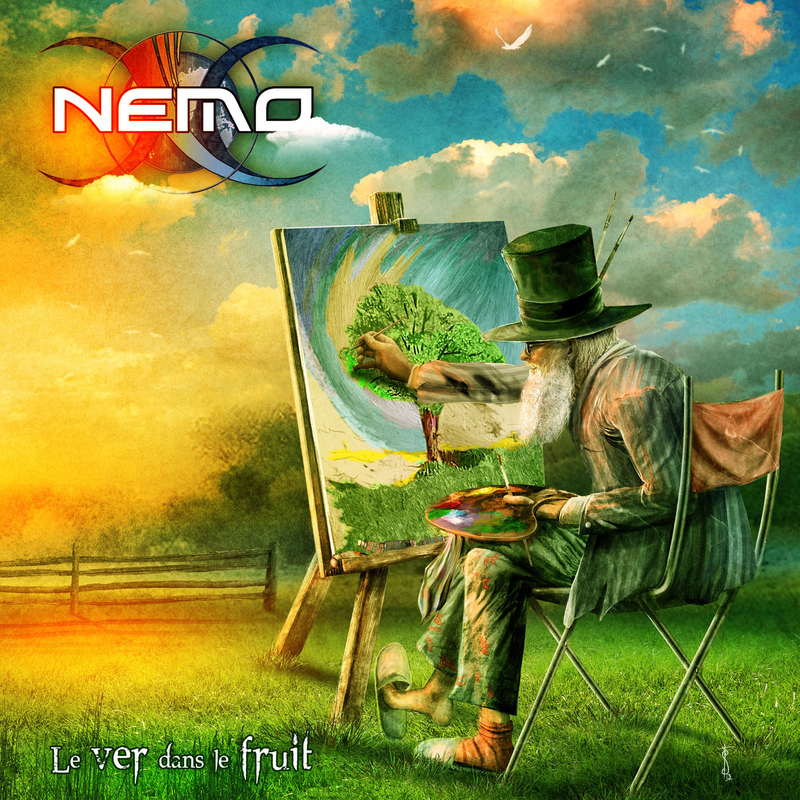 2015 will be the year when, after 15 years of fight to make our music known, Nemo will take a pause. Temporary ? Permanent ? Nobody knows it yet, and it will depend on a thousand parameters on which we don’t necessarily have the control. So let’s cry together, we who love this band and without whom life will inevitably be different. Our tears and hope will keep it alive and, who knows, maybe it will not have sank into oblivion if, with chance, it comes back to life in the future. This was the bad news. We can talk about it if you wish. But there also are good ones that, if they don’t outshine the bad news, will make us forget it for a while. First, it seems possible to reunite the band members for big opportunities, as festivals or important concerts. So if we receive such invitations it likely we’ll accept. Just a small death thus. Second, we couldn’t go like this, without leaving a final mark. By chance the latest months of work with the band have allowed us to write our ninth album. The last one? Nobody knows it yet, and it will depend on a thousand parameters on which we don’t necessarily have the control. Anyway it will be recorded this year and will probably be out next autumn, which postpones a little the fatal term ! 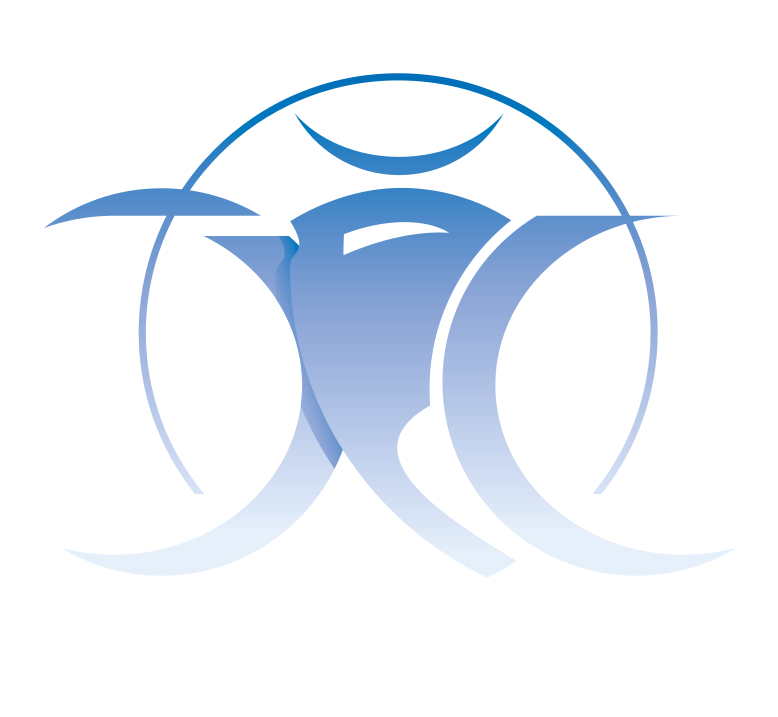 Third, every end is a beginning, and new projects will come to life. 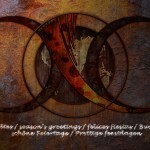 My collaboration with good friend Guillaume Fontaine doesn’t seem to end ! Here is it, you probably are as sad as I am, but let’s go ahead without being dejected by such events, as hard as they are. 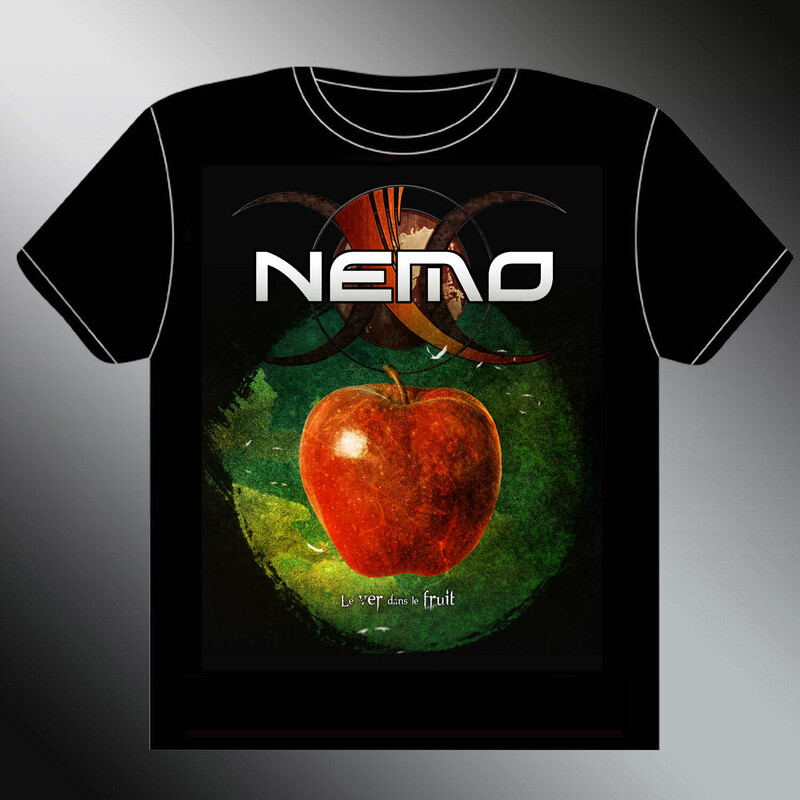 And above all, go on supporting the bands you love, as you did with Nemo! All we have done, we succeded thanks to your unstinting support. In the meantime, let’s take advantage of this new year, waiting for this new album that – it’s the first time I say that – sounds a lot like our best. 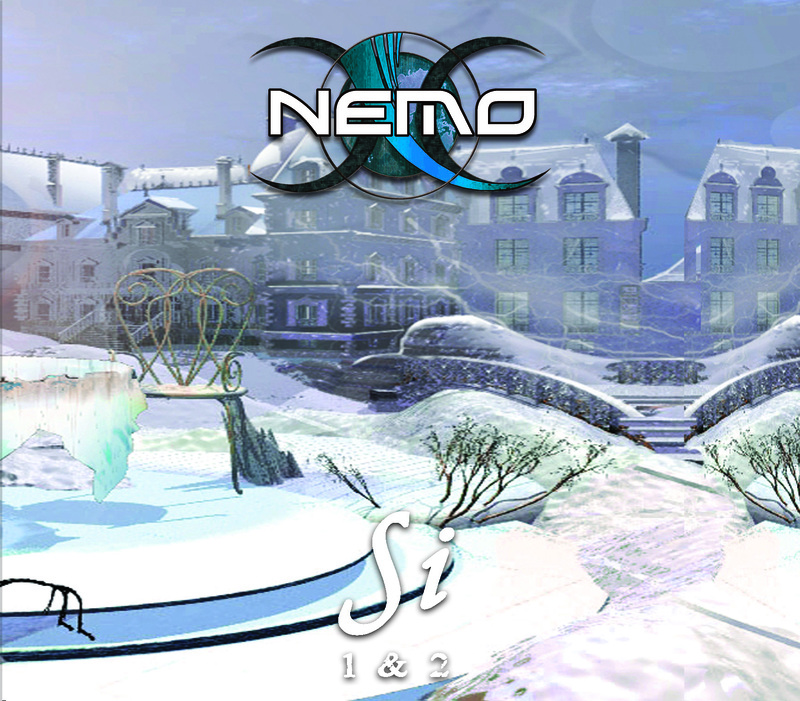 To Nemo fans around the world, we thank each of you for your support and wish you a happy holiday season. 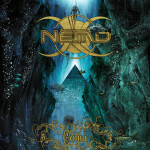 Ten years after its first release, NEMO will reissue a remixed version of Prélude à la ruine, the third album of the band, on october 15th! 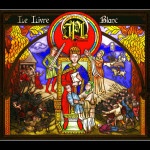 The new Jean Pierre Louveton solo album will be out on June 30th! New 2014 collector T-Shirt, 100 pieces available. Souvenir de Prog en Beauce. Dernier concert avec LB Guichard. 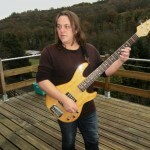 Let’s introduce Ollivier Long, new NEMO bass player! 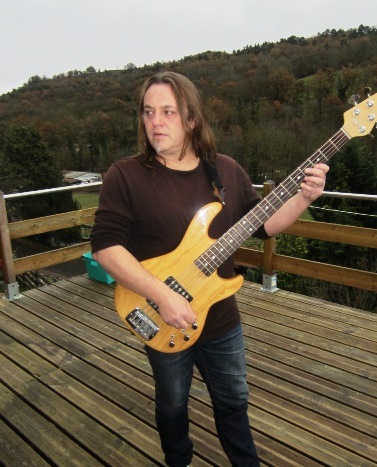 Professional musician, he started with Rock music before specializing in Jazz. He’s able to play everything on his instrument, and he decided to bring to the band the extent of his talent! Welcome! After 9 years of duty, sacrifice and wonderful moments shared in NEMO, Lionel B. Guichard now leaves the ship. We won’t detail the reasons, but let’s say that at this point of the story it couldn’t end differently. We wish him all happiness and success in the inevitably different life that awaits him now, and we know that he will stay forever in the heart of fans (and ours) the bass player in Si, Barbares, R€volu$ion and Le ver dans le fruit. 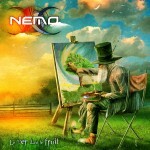 The new NEMO album is now available! Order it here: www.quadrifonic.com or there: www.ppr-shop.de ! Say to the whole world if you like the album: the better wait to promote NEMO! 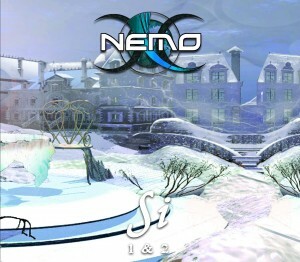 Here is the new NEMO video! This is the track “Un pied dans la tombe” from the album “Le ver dans le fruit” available now for preorder at www.quadrifonic.com and www.ppr-shop.de. Enjoy! 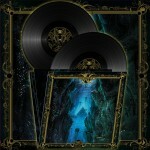 Preorders for the new NEMO album are open! 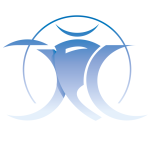 Who would benefit from us, to follow pre-established rules? Careless. As sheeps. Political parties? Religious organisations? Commercial companies? TV networks? 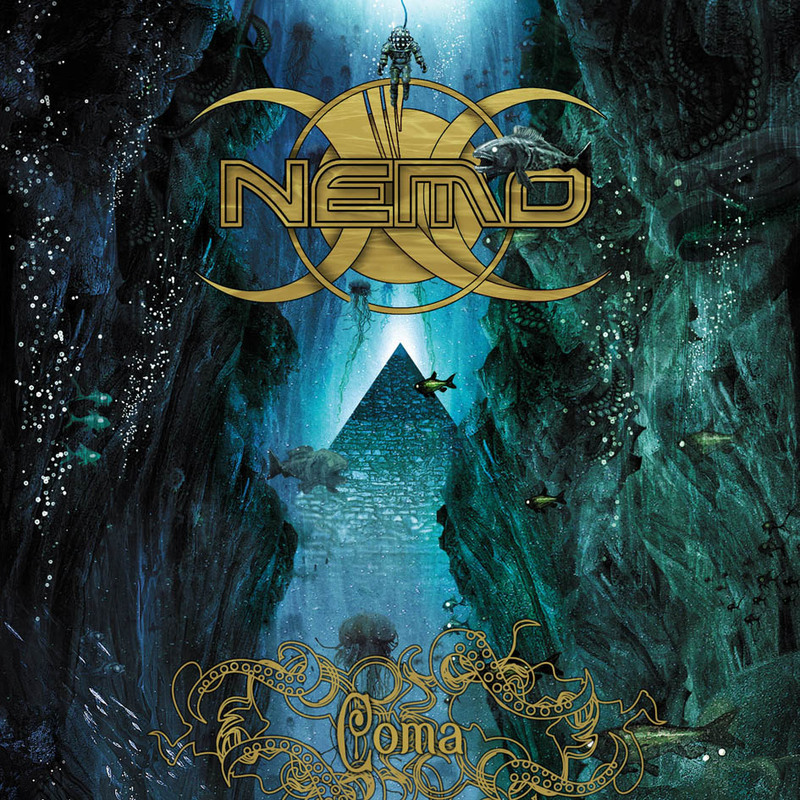 More informations about the next NEMO album! We wrote 12 track for an approximative duration of 93 mns. 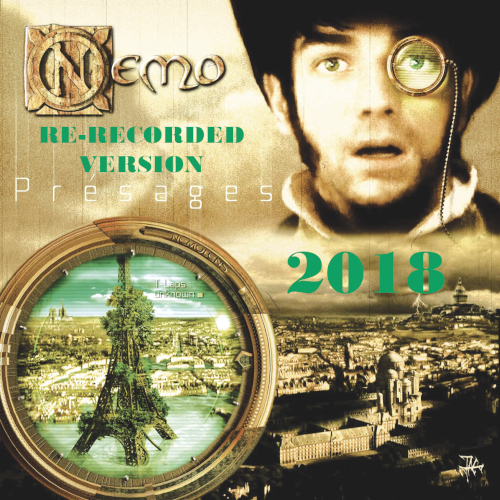 NEMO is actually recording the follower of R€volu$ion! The album should be out next September, more news in the coming weeks! The new WOLFSPRING album is available! Order your copy at: www.quadrifonic.com ! 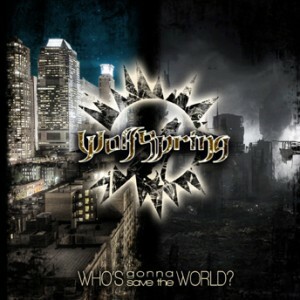 Listen to samples of the forthcoming WOLFSPRING second album! David Zmyslowski quits the band. 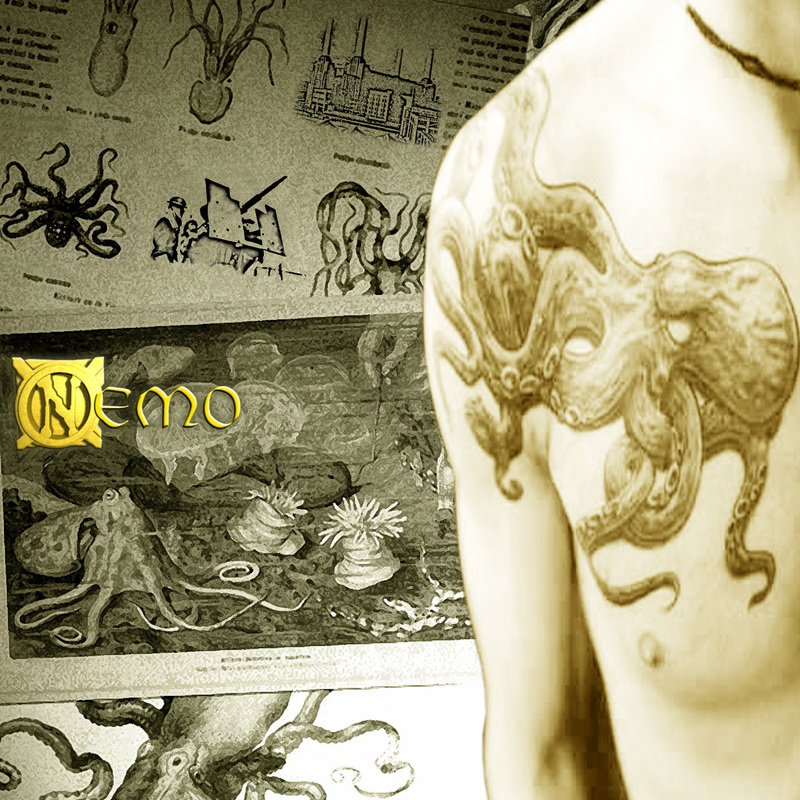 Thanks for the years spent with NEMO and good luck in your new musical works! 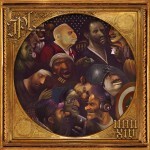 Si Partie I at least to be reissued! This album is still the reference for many NEMO fans, and is one of our best sellers. It is, since its first release, #1 in the progarchives charts for the year 2006. It will be reissued in a beautiful Digipak also containing the sequel “Si Partie II”, allowing the two sides of the concept to be reunited, for the price of a single album!